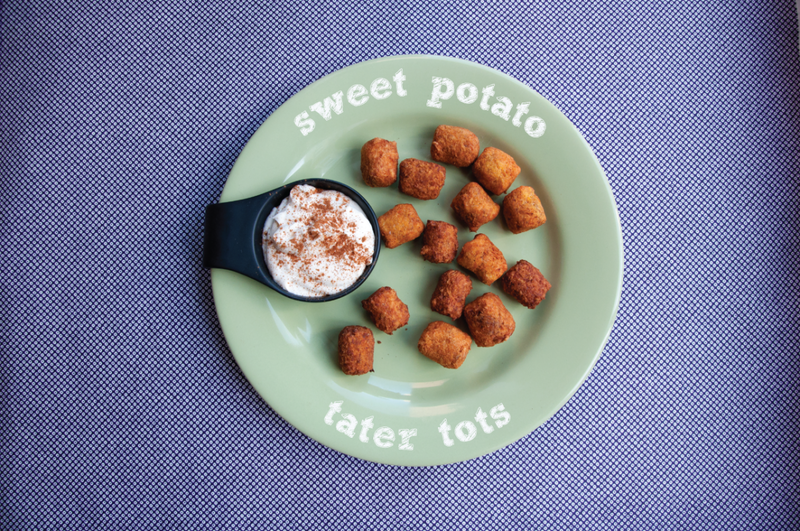 Thanksgiving is right around the corner and if you already have your menu planned out then hats off to you! 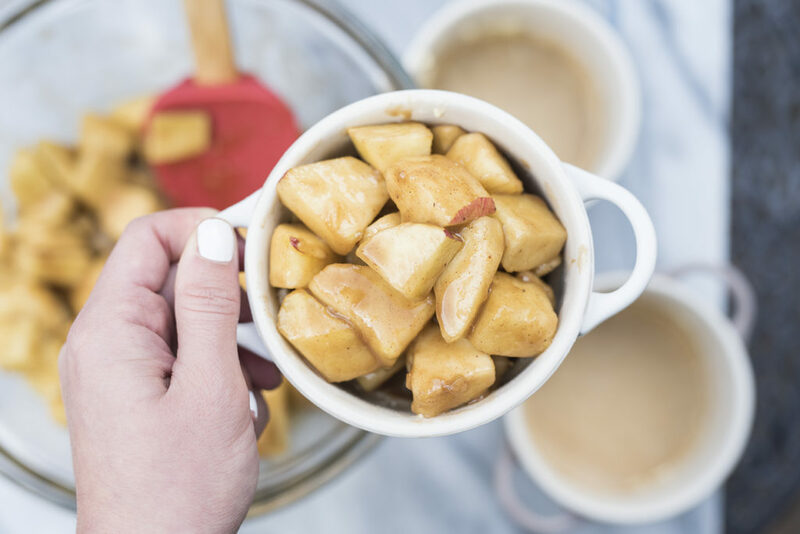 But if you do happen to be looking for one extra dessert to add to the table that night than look no further than this individual apple pie pots! 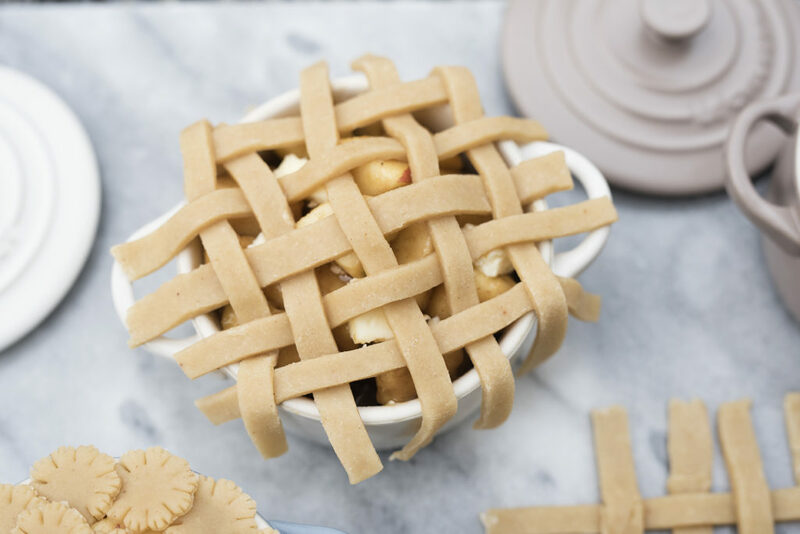 You can simplify things by buying pre-made pie crust but I also included a recipe for pie crust from scratch in case you’re feeling up to it! 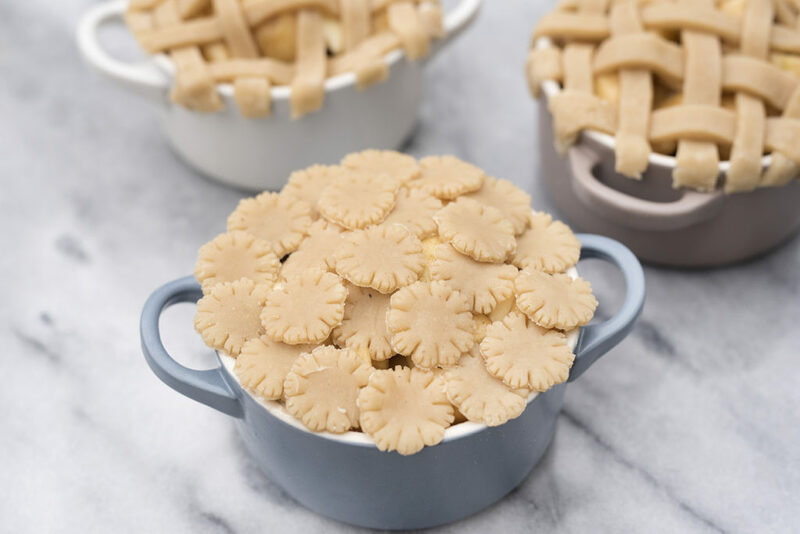 Pie crust from scratch can seem overwhelming at first but it gets easier with practice! When I first made pie dough I was really surprised by how few ingredients there were. It’s just flour, butter, salt and water. I added a little brown sugar and spices for sweetness and flavor. I took a pastry class a few years back and learned a few tricks with pie dough. One was how to cut the butter into the flour. The instructor taught us to use a really large bowl then push all of your flour to one side. Cube up you butter and place it on top of your flour. Then you’ll want to take a cube of butter and a pinch of flour between your thumb and index finger and smoosh the butter into the flour. Place that smooshed piece of butter onto the empty side of the bowl. Repeat until you’ve smooshed every single cube. It’s helpful to start the flour and butter on one side of the bowl so you know for sure that you’ve smooshed every cube! You’ll want to repeat this until the butter is about the size of a pea and your mixture looks like rocky gravel. 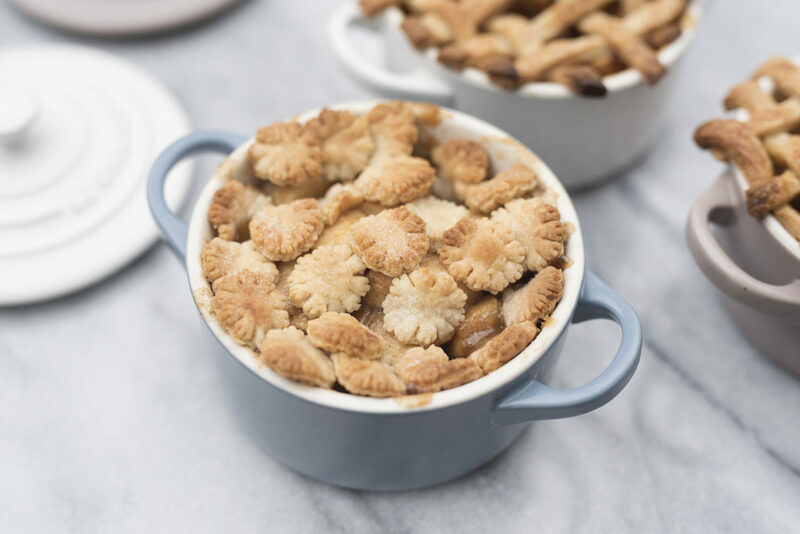 I’ve had these mini Le Creuset cocottes for a while and I love using them to make individual sized desserts and dishes. The ones I have are from the matte collection which I don’t know if they still sell but the current colors on their site look just as cute! The sell them in sets of three and you can find them here. The filling for these apple pies is made from a mixture of chopped apples, lemon juice, flour, cinnamon, nutmeg, brown sugar, and butter. They’re great because if you have extras just wrap the tops in tinfoil, store in the fridge, and reheat in the oven when you want! Make the pie crust. Cube the butter and set in the refrigerator until ready to use. You want this to be very cold. In a large bowl, combine the flour, brown sugar, nutmeg, cinnamon, and salt. Push all of the dry ingredients to one side of the bowl. Place the cold cubed butter on top of the dry ingredients. 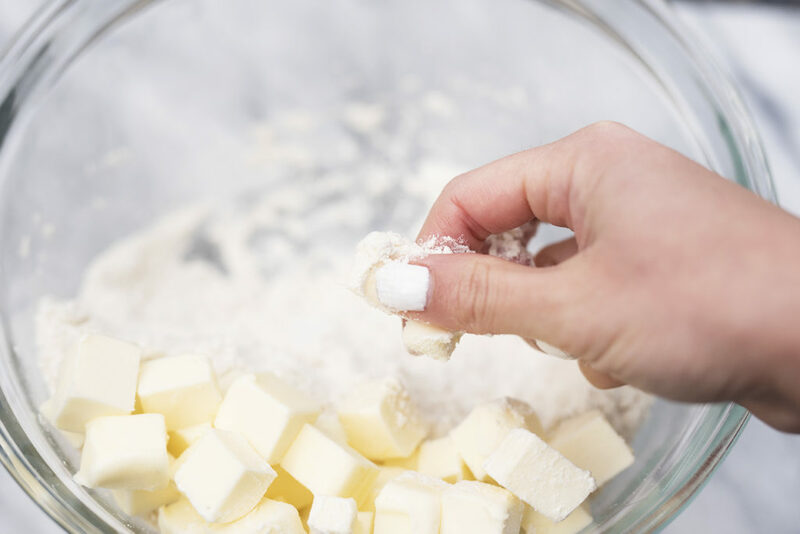 Then use your thumb and index finger to pick up a cube of butter and bit of flour. Smoosh the butter between your fingers and into the flour. You want to break each cube up so that each piece of butter is about the size of a pea. It’s okay if some are smaller or large. You’ll want to repeat this until the mixture resembles rocky gravel. 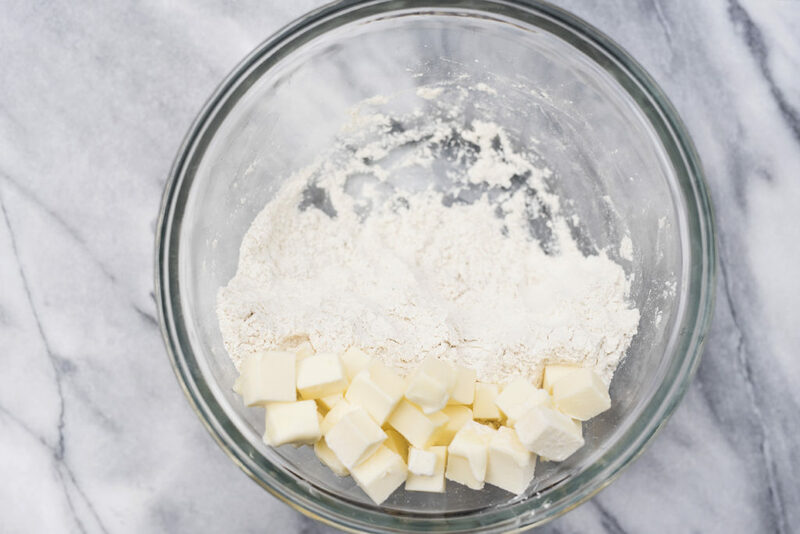 Once all of the butter is broken up and incorporate into the flour, add in 4 tablespoons cold water. 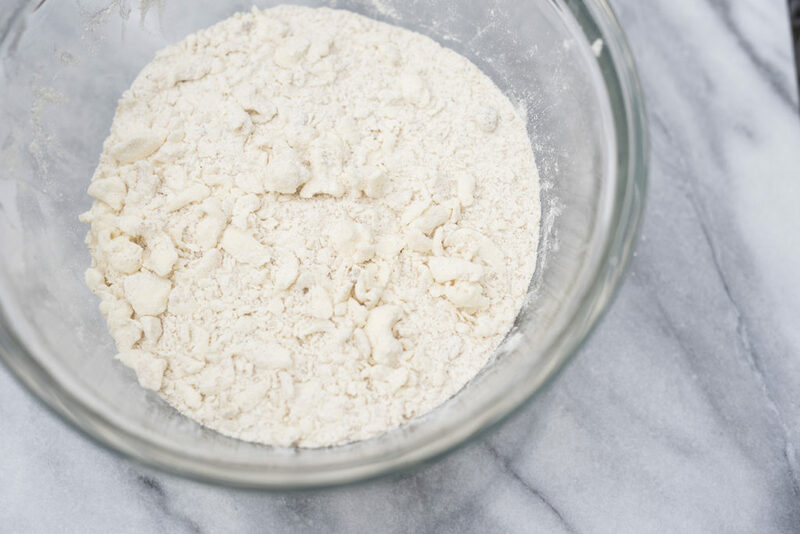 use a wooden spoon to combine the water and the flour mixture then switch to using your hands. Continue to mix with your hands just until a dough comes together. Bring the dough together into a ball and then flatten into a disk. Wrap in saran wrap and chill for at least 1 hour. While the dough is chilling, make the filling. 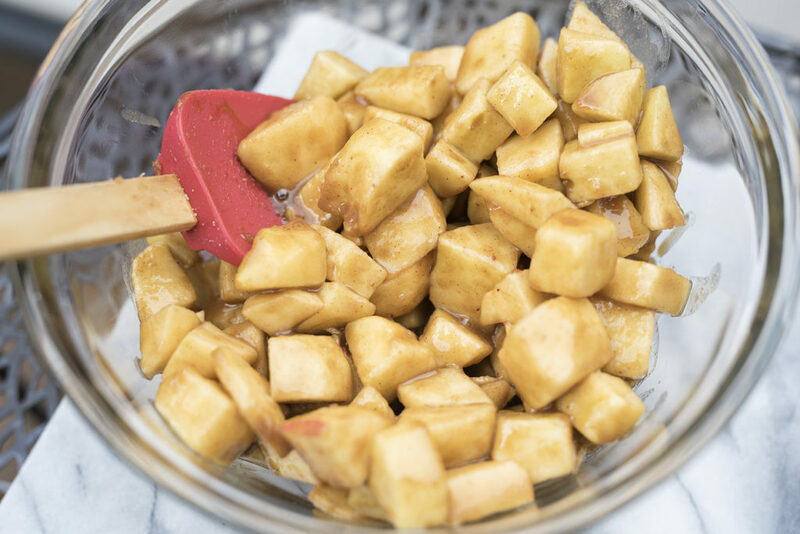 Peel, core, and chop the apples into 1” cubes. 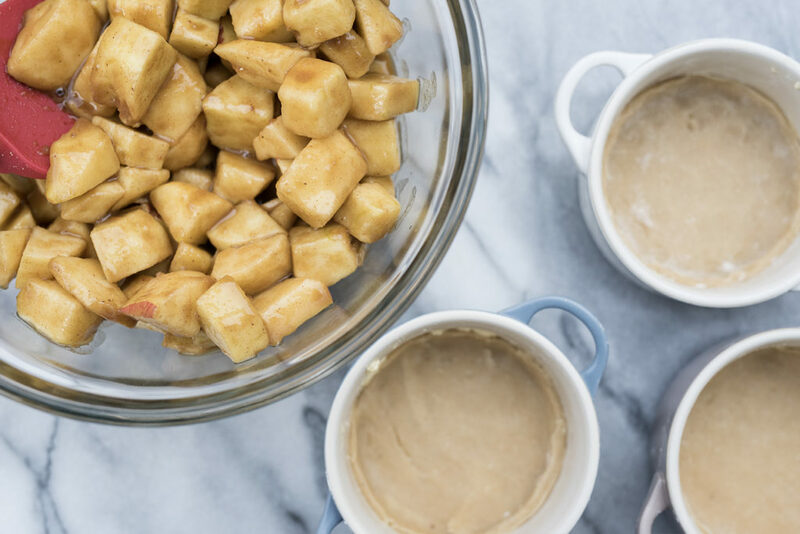 Place the chopped apples and 2 teaspoons lemon juice in a bowl and mix to combine. 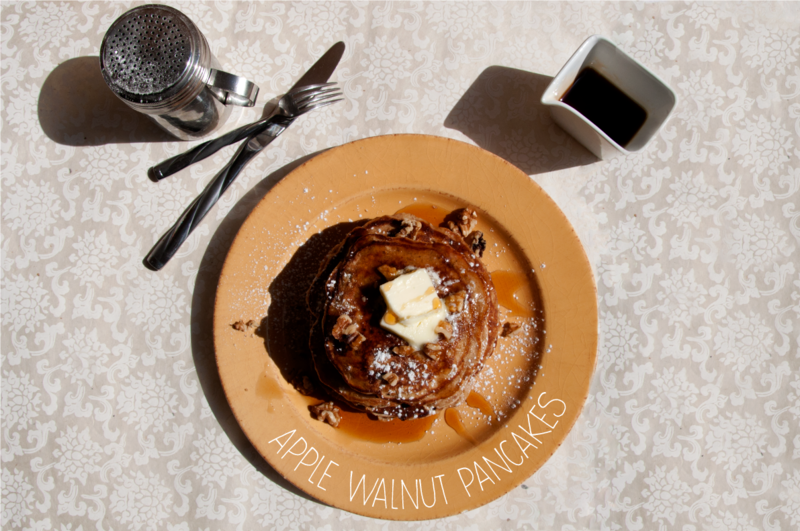 In a separate bowl, combine 2 tablespoons flour, 1 tsp cinnamon, 1 tsp nutmeg, and 1 cup light brown sugar. Add the apples and use a wooden spoon to combine the mixture. Set aside until ready to use. After the dough has chilled, place it on a clean surface dusted lightly with flour and roll it out until it is about 1/4” thick. Place your ramekin or cocotte on top of the dough to measure out a circle for the bottom crust. Use a sharp knife to cut through the dough around the cocotte. Place this circle aside and repeat until you have 4 circles for the bottom of all 4 cocottes. You will want to use the remaining dough for the tops of the pies. 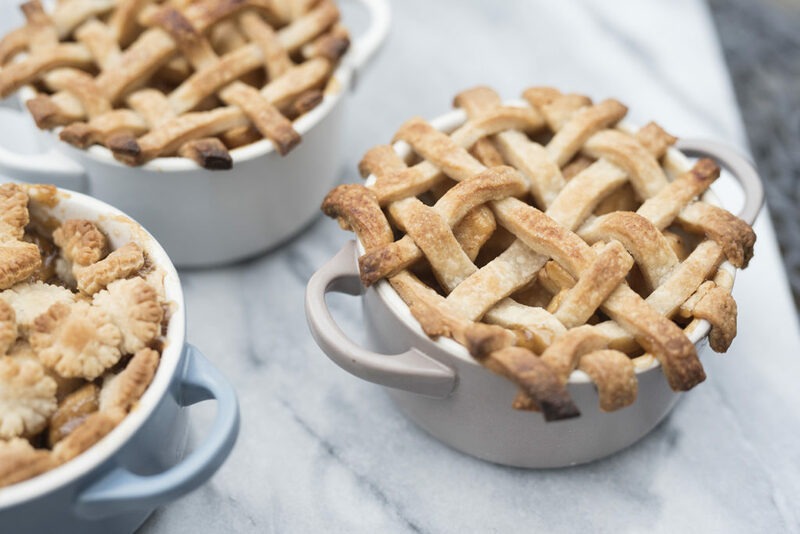 You could either cut strips that are a little longer than the diameter of the cocotte and form a lattice. 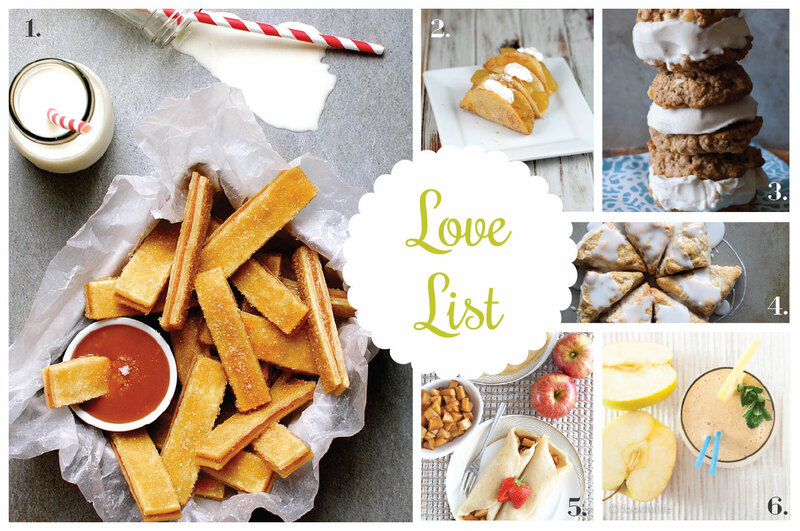 Or you could use a cookie cutter to create fun shapes and stack them on top. Spray the inside of each cocotte with cooking spray and then place the circle doughs on the bottom of each. Press down lightly. 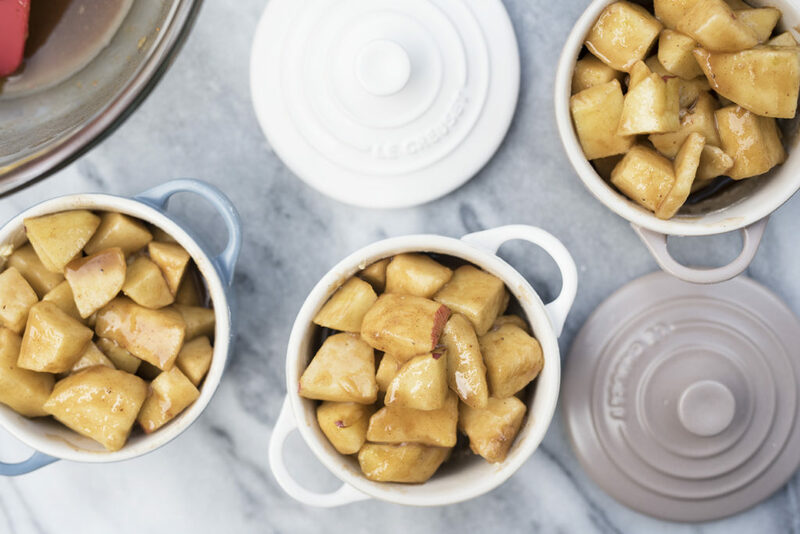 Fill each cocotte with apple filling. Chop 2 tablespoons of butter into small pieces or cubes and dot the tops of each cocotte with a few of the pieces of the chopped butter. 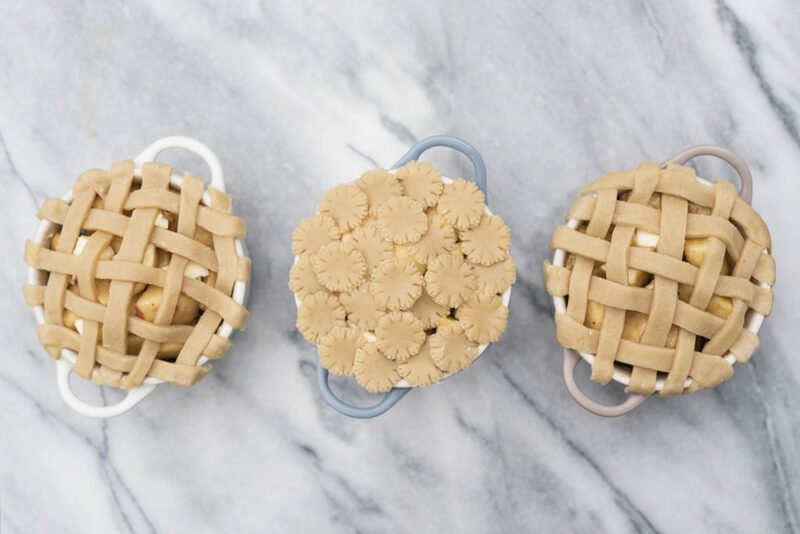 Place your lattice or cut out dough on top. 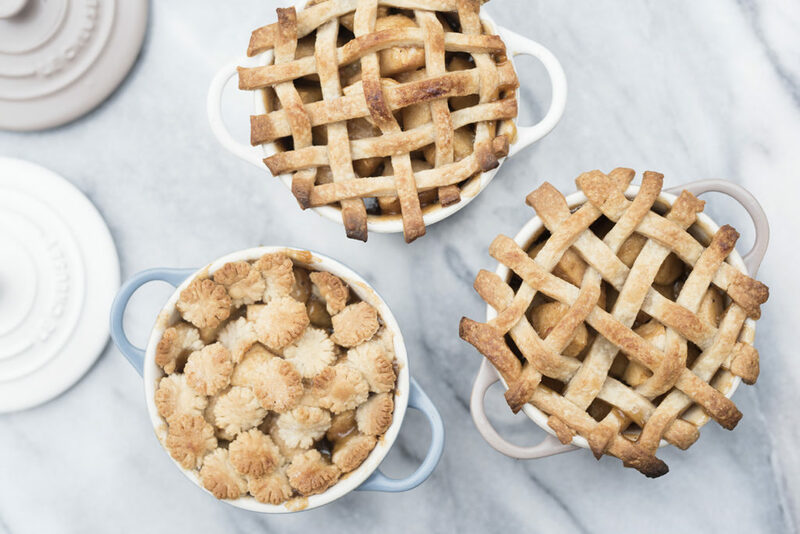 Melt the remaining 2 tablespoons of butter and use a pastry brush to brush on top of each pie. Bake in the oven at 425 degree F for 40 minutes. You can also wrap the edges of the pie crust with tinfoil if you want to prevent the edges from burning. 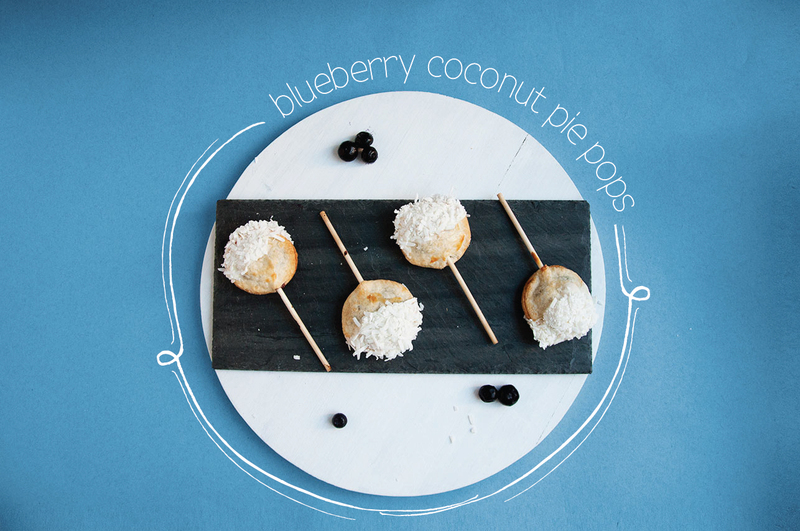 Remove from the oven, let cool, slightly, and enjoy!